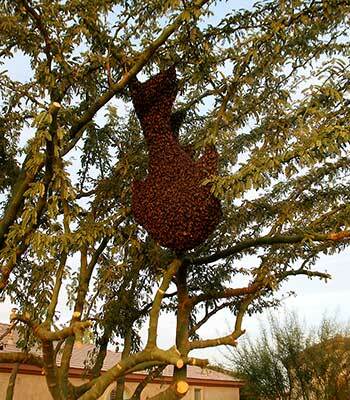 In Southwestern U.S. the Africanized bee population has exploded in the last couple decades. Arizona has one of the highest populations of Africanized bees in the U.S. and continues to grow year after year. 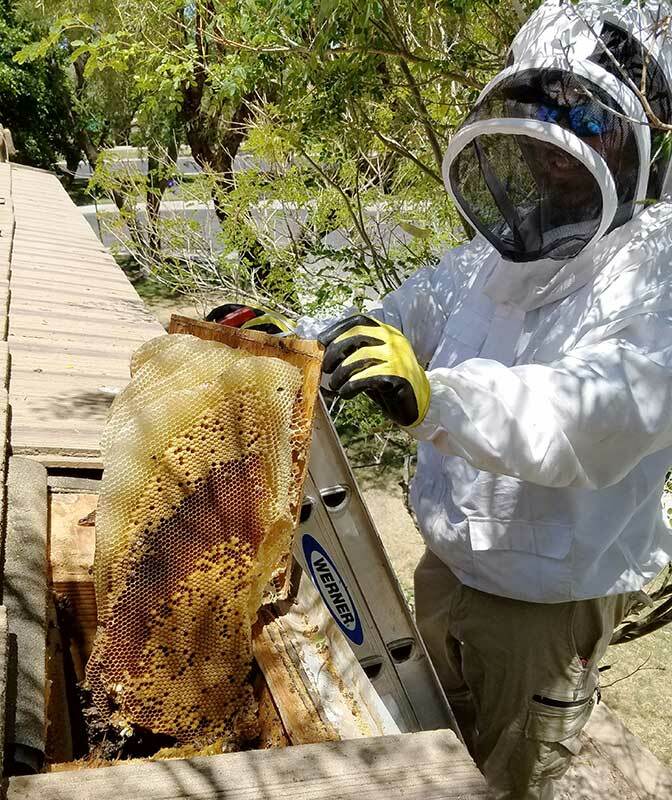 The Africanized honey bees have taken a shine to the central Arizona desert and thrive in the spring and summer months. Africanized bees, also known as killer bees, are hybrids of the African honey bee which is a hostile and invasive species. This Africanized honey bee will violently attack humans and animals that come near their hive which has earned them the nickname of killer bees. 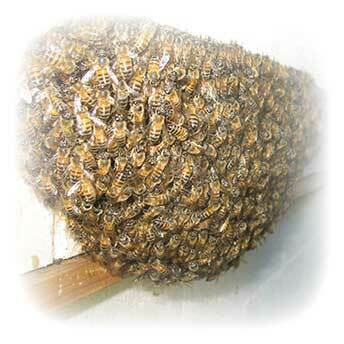 Africanized bees are extremely protective of their hive and are very easily provoked. This can lead to injuries and even fatalities. These bees can be found on every continent except Antarctica. Looking back at the history, the Africanized bees in America began in 1957 when the replacement bee-keeper accidentally released 26 Tanzanian queen bees and drones which were being used for research purposes. A biologist named Kerr was trying to breed the African honeybees with a European bee species so that the offspring could produce more honey and could easily adapt to tropical conditions. After the accidental released, the bees started to breed with the Brazilian bees and produced what we now know as Africanized honeybees or as the media likes to say killer bees. Their descendants have spread throughout the Americas since the 50's and continue to spread every year. 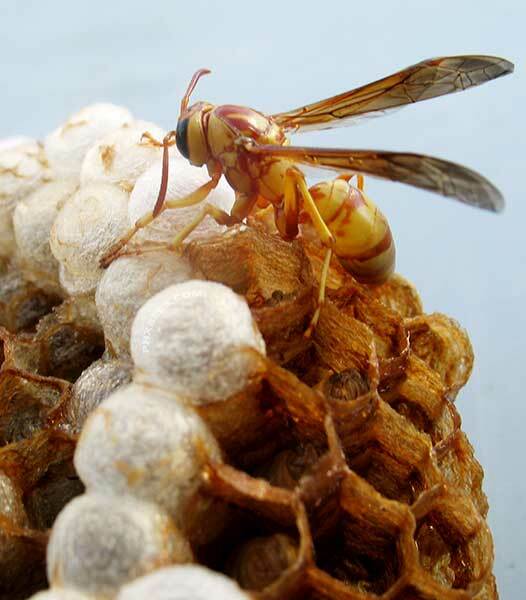 Africanized honey bees are not picky when it comes to where they will nest and build a hive. Commonly Africanized bees can be found nesting in tires, boxes, rotted logs, holes, cracks in homes and buildings. Valve boxes are a regular spot for Africanized bees and can lead to a lot of unintentional attacks on landscapers and homeowners. Africanized bees choose a lot of unusual spots to call home and can become extremely difficult to treat. The most common way of being attacked by Africanized bees is just simply by not paying attention and being aware of your surroundings. Africanized bees are sprinkled all throughout the Arizona desert and during the spring and summer months can become a danger to outdoors enthusiast. 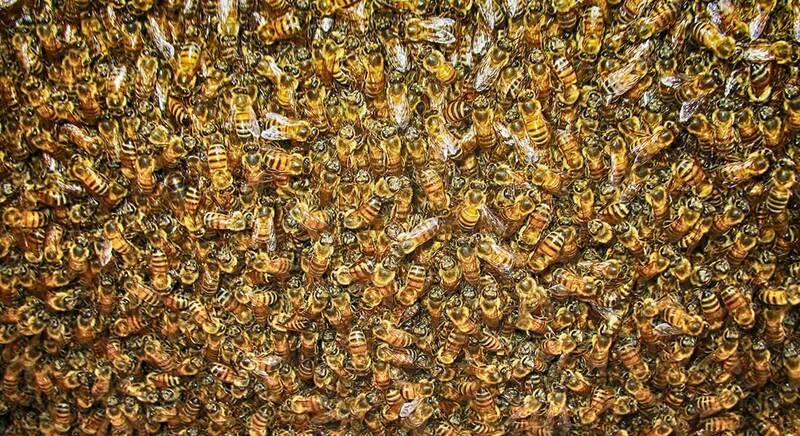 Africanized honey bees can reproduce rapidly producing a few thousand bees a week and the danger level goes up the hotter it gets. They can become a lot more agitated during the heat of the summer just like we can. The threat level of bees goes up exponentially during the summer. Once the bees have had some time to settle and get comfortable it can become an all-out war zone around their hive and any unsuspecting human or animal is fair game. Africanized bees are very territorial and once established they can become a danger to anything unfortunate enough to come across their path. Over the years we have seen everything from horses, pigs, dogs, and birds to name a few who did not live thru their Africanized bee encounter. Another reason it is important to give your pets and escape route when home alone and left outdoors. Too many times we've seen or heard reports of pets trapped in backyards with no escape from attacking bees provoked by an inexperienced person trying to treat bees on a neighboring property. People who try to treat active hives themselves can become a danger to everyone around them. Trying to treat an established Africanized bee colony can end up getting neighbors and their pets injured. This is a real common occurrence in the Summer around Phoenix and in Central Arizona. When out hiking, going off trail can lead to an unintentional encounter with Africanized bees and can quickly become a dangerous situation. It is always important when enjoying Arizona outdoors to be aware of your surroundings and to stay on trails and marked paths. Every year reports of someone that has been attacked by bees going off trail and could have easily been avoided if they had stayed on the trail. Areas that aren't frequented on a regular basis by humans are areas that you need to be more aware. Get away quickly and safely. Cover your face and try to shield your eyes to protect them in a way you can still see where you are going. 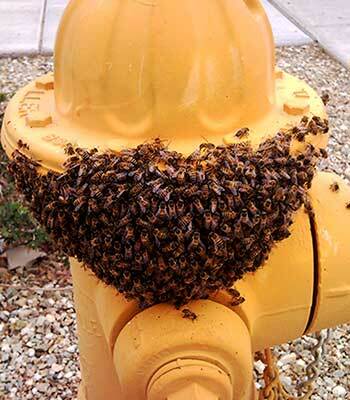 Africanized bees will lock onto your face and this will become the most targeted area. Do not stop and try to fend off the bees by waving your arms around. This will not help and only cause more aggravation and aggression from the bees. Just keep moving far and fast. Avoid water as it will not help, the bees will simply wait for you to surface and continue their assault. If you come across someone else being attacked, do not try to help them by running towards them. Yell for them to run away and seek shelter. One person being attacked can quickly turn into multiple people being attacked if unaware of what to do.